There are more options than ever to find good skincare for men. In Los Angeles, we even have grooming bars and salons sprinkled throughout the city. As Dad’s Day is coming up this weekend, these are some of the coolest brands for protecting and preserving male complexions. Kiehl’s has always offered skincare for men, but they’ve recently evolved the line to include 6 new Grooming Solutions products for every unique facial need. Beards included! Shop online HERE to choose which products will work best for Dad. NOTE TO ANGELENOS: Next Thursday, June 22nd, Kiehl’s will be opening in Westfield Century City. Customers will receive a complimentary full-sized Ultra Facial Cream with any purchase on opening day! Did you know It’s a 10 haircare has a special collection for men called He’s a 10? Despite the odd brand name, I use their products on the regular. Great for de-frizzing and smoothing! I hear the Men’s Miracle Pliable Paste is great. Get 15% off He’s a 10 products through June 21st with the code: fathersday. Check out the collection HERE. Look into Harry’s for men’s shaving tools. It was created by one of the Warby Parker founders, and it’s basically a step up from the better-known DSC. Opt for a single set or sign up for a Harry’s plan HERE. For other cool ideas, InStyle created a great list of their favorite Men’s Subscription boxes. Read it HERE. There are beauty products that I love and others that I’m merely attracted to, whether it be for packaging, how good it looked on someone else, or its actual efficacy. Sometimes it’s a combo deal. And sometimes I will myself into using a product simply because of the money I spent on it. You get it. All that said, when a product actually works and does everything it promises, I want to scream about it from the rooftops. But since my building’s roof has been deemed permanently off limits, a shout out on social media will have to suffice. If you do a lot of walking or hiking (or just have jacked up feet! ), you will thank me for this one. I first heard about Baby Foot when I was getting a pedicure and the nail tech asked if I wanted callous remover. When I replied I didn’t, because it never worked, she laughed and shook her head in agreement. Then she casually mentioned this product her client used once that truly resurfaced the soles of her feet. Baby Foot might be the simplest, most effective beauty treatment you’ll ever give yourself. All you do is wear these formula-filled booties for an hour. I put socks over them for a tighter fit. One episode of Nashville later, I was done. Fast forward exactly five days and my feet are peeling off excess layers. Sorry if this sounds gross (I can hear my sister cringing), but I found it fascinating. A few days later and my soles were renewed. Baby Foot is all-natural, made with 17 kinds of natural extracts, and said to be effective on Athlete’s Foot, blood circulation and odor issues, too. Learn more or pick up an envelope at Babyfootusa.com. I heard about Lift Kits from a stylist I know. She gives them to her male clients who need an extra boost next to taller counterparts in films or on the red carpet. Or really anywhere I guess. At first I thought the idea of “lifts” was funny, but apparently it’s really a thing in Hollywood. They also make smaller lifts for women, and ones that give you a little booty lift. Ladies who hate lunges: this could be your answer. Check ’em out at myliftkits.com. Love love love this this rich vitamin-packed moisturizer to revitalize my complexion quickly. When my skin feels tight or looks dull, I swap out my morning lotion for the Embryoderme cream by Embryolisse. Within minutes my skin wakes up and all signs of irritation are history. Enriched with collagen, Shea butter, elastin, and Vitamins A, E & F, this cream absorbs quickly and keeps skin hydrated in even dry winter weather. I know makeup artists swear by the brand’s Radiant Eye stick – and it’s great, too – but I find myself relying on the Embryoderme much more in the cold months. Try it out this season at embryolisseusa.com. Think all eyebrow pencils are the same? Wrong. They vary in quality and wearability as much as regular eyeliners do. As someone with thinner brows, I’ve tried everything from powders to pencils to waxes. Hands down, the triangular-shaped Archbrow Sculpting Pencil by Hourglass is my favorite. It combines powder, pencil and wax in one product – and is available in 9 different shades (9!) to create naturally fuller looking brows. The buildable formula lets you opt for a bold and intense, or soft and natural look that stays put all day. It’s also double-ended so you can brush your brows into place once you’re done filling them in. Find your perfect brow shade at hourglasscosmetics.com. That’s all folks! Until next time. Oh, and if you try one of these fab 4, tell me what you think! With so many tantalizing fragrances, ingredients and salves at our fingertips, the selection of body products on the market is endless. And I for one can never get enough. No matter how many I’ve tried or how few I actually keep as staples, I always get excited to try a new formula. One brand I’ve only just learned about and am really enjoying is RITUALS Home and Body Cosmetics Collection. It actually launched back in 2000 but only came to the States (NYC specifically) last year. The RITUALS Ayurveda Collection! It uses the power of nature’s gifts to find the balance between body, mind and soul. Mom’s senses will be serenely overcome by Indian Rose, Sweet Almond Oil and Himalayan Honey. Pickup the Ayurveda Honey Touch body cream for sure. If Mom is into lighter scents, go for any of the Rice Milk & Cherry Blossom fragrances. The Foaming Shower Gels feel wonderful, too. Definitely add one to your package—like the Zensation or Hammam Delight. Check out the Rituals website. The options are endless. Like really endless! Or stop by Barneys in BH and have them wrap something gorgeous up. NOTE: While you’re there, check out the RITUALS Urban Samurai collection for Father’s Day–coming up next month! I LOVE giving gifts around the holidays. Always have. Here are a few from this year’s list. For the woman who’s always running around LA, the list of options is long! That said, I’m a teensy bit obsessed with the patent leather cuteness of this backpack by Harper Ave. It’s sleek, shiny, hands-free, and grown up enough to carry everything from your laptop to diapers. Who wouldn’t want one?? Another idea for those on the run (literally) is the Amopé Pedi Perfect Electronic Foot File. Sounds random, right? Wrong. It’s fantabulous – and it’s bladeless! This thing exfoliates with a roller head, leaving feet free from all signs of hiking and stiletto-wearing damage. Find it on Amazon or most national drug stores. Stocking stuffers or fun hostess gifts? I usually don’t opt for sparkly eye shadows but this LORAC The Royal 3D Liquid Lustre Set is awesome! Encased in a chic velvet box, the collection includes 4 Limited Edition Shades: Opal, 24K, Rose Quartz & Amethyst. They go on in liquid drops, so they look beautiful alone or over an opaque shadow. Plus, at under $30 they’re practically impossible to pass up. Look for it at LORACcosmetics.com. Royal Apothic has come out with adorable Tinties Lip Butters made with sweet almond, grape seed and argan oils. Encased in a rose gold-colored jar, they make for a beautiful bedside balm. Again, who wouldn’t want that?? Pick up a few at Anthropologie in The Grove and keep them on-hand for charming hostess gifts. Know a guy who grew up road-tripping with the fam? Send him this sweet toiletry bag replica of a 1965 VW van from ModCloth.com! This vintage-inspired classic opens easily through a groovy retractable zip roof. Awesome. And, measuring 6 x 12.5 x 5”, it’s big enough for all his favorite hair products and travel essentials. For the best nieces ever, I got fuzzy short-sleeved sweaters and mini skirts from GUESS Kids. They’ve got sweet ice cream colors that go great with striped tights and winter boots. The girls will love the short, foiled skirts and festive sweaters – and their mom won’t kill me for buying one more thing from American Girl! Everyone wins. For your favorite little rugged guy, Joules’ Boys Brushed Cotton Shacket is super LA-cool. It’s lined in Sherpa fleece but looks like a plaid shirt. See above right. Half shirt, half jacket… hence shacket. What to get Dad… who needs nothing. Words that pop into the heads of many offspring around So Cal this time of year. Check out these cool necessities for fathers who take pride in some fine grooming. If Dad is a man of the sea, PRADA’s newest fragrance, Luna Rossa Extreme will be a perfect fit. From scent to design, it’s inspired by the America’s Cup Sailing Team and their Luna Rossa AC72 catamaran. 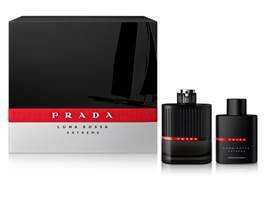 I’m not usually drawn to gift sets but Prada has put out a limited edition Luna Rossa Extreme fragrance & After Shave Balm duo that looks really sleek and dad-worthy. Pick it up at Bloomingdale’s or Saks Fifth Avenue Beverly Hills. If Dad takes pride in his hair – or what he’s got left of it – treat him to some Philip B. products. Philip B. Nordic Wood Hair & Body Shampoo is an all-in-one refreshing cleanser and shampoo made with rich extracts of Norwegian spruce, balsam fir, white pine, cedarwood and camphor – all helping to relieve internal tension and stress. Throw in some Pomade and Shaping Fiber and you’ll have a perfect trio. 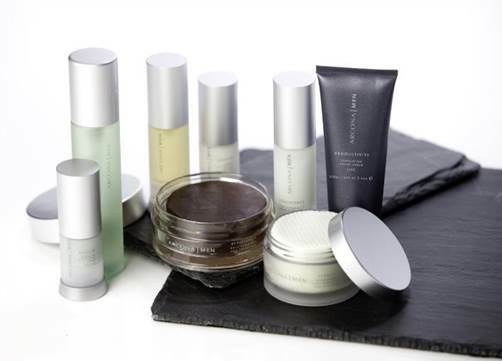 Avail at Philipb.com or Space NK @ Bloomingdale’s Century City. If Dad does the spa thing, indulge him in a Men’s Performance Facial or 50-Minute Massage at the ARCONA Studio in Santa Monica, CA. Order either of these services or anything from their range of men’s skincare products and receive a 20% savings through June 15th!